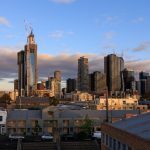 As more Australians choose to live in apartments than ever before, leading developers are responding by finding new ways to raise the bar in building design. These new buildings deliver vertical homes which completely transcend general perceptions around the kind of lifestyle afforded by apartment living. One key trend in new building design that has emerged is the inclusion of resort-like facilities, such as rooftop pools, private cinemas and gyms, for exclusive resident use. 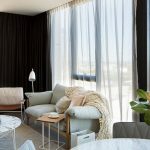 These facilities and spaces act as an extension to residents’ own apartments, effectively enabling the apartment building to offer a ‘lifestyle’ as well as a home to its residents. 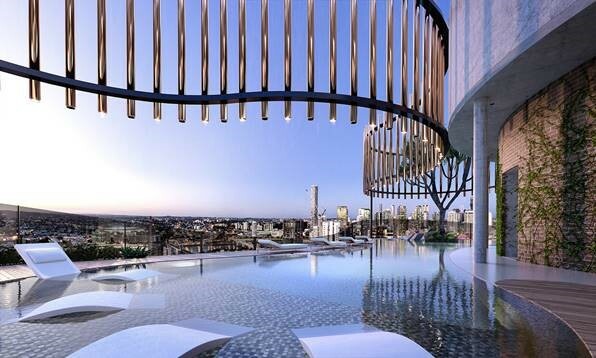 In the arts and cultural hub of South Brisbane, just a short stroll from Brisbane’s CBD, property development group Aria has just unveiled a glimpse into its newest apartment building – with no shortage of the wow factor. 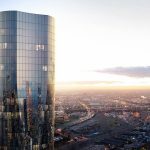 “The Standard” continues Aria’s evolution in innovative apartment design and delivering some of the best residential developments in Australia. Most recently, Aria’s The Melbourne Residences, located just around the corner from The Standard, won the 2018 UDIA National Award for Best Development in Australia. 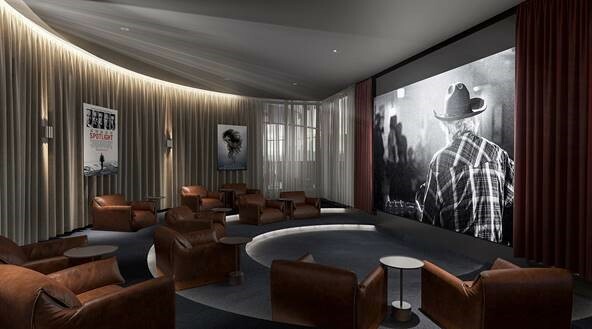 Designed by Woods Bagot, The Standard includes all the designer facilities residents have come to expect, including a rooftop pool, BBQ area, intimate seating areas, private dining room with full commercial kitchen, private cinema, one of the largest private gyms in Brisbane and library. However, the building also includes 3 exciting new communal spaces which we haven’t seen in an Aria development before. 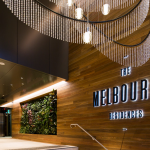 Here, residents can enjoy a glass of wine, recommended by the in-house sommelier, while watching the sunset over the Brisbane City – or start the day with a coffee and a complimentary newspaper. Part of the Level 6 Wellness Club, this private day spa is designed to be a peaceful residents’ only sanctuary. 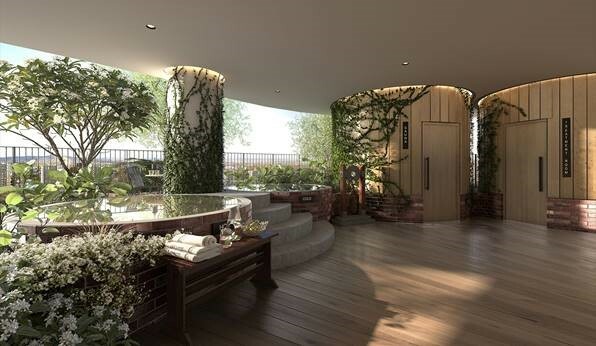 Residents can make use of the hot and cold plunge pools, sauna or relaxed seating areas. Or even more indulgently, book a private massage or pampering session catered by Aria’s spa and wellness partner. As the rise and rise of car sharing has shown, not everyone who lives in the inner city wants the hassle or the expense of owning their own car. The Standard takes the concept of car sharing to the next level, providing residents the opportunity to book and use one of three Teslas, which are available for the exclusive use of owners and tenants. South Brisbane’s Fish Lane has emerged as a popular bar and dining destination, without the need to wander more than a couple of hundred metres. 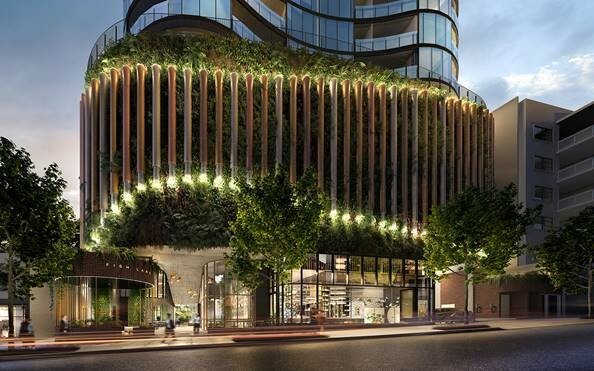 The Standard, which enjoys a Fish Lane address, aims to extend the urban laneway with ground floor restaurants and cafes which seamlessly blend and connect back to the street. 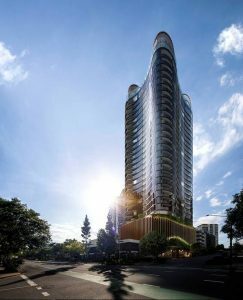 Taking its cue from the public artworks which line Fish Lane, The Standard features a curving and sculptural facade, and incorporates the largest living green wall in Queensland. 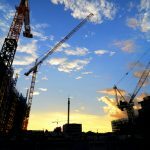 “Aria is one of Australia’s most awarded developers and has a reputation for being a market leader in innovation and design – so much so that their products sell faster and rent first compared to any other developer we work with in Brisbane,” said Ironfish Property and Research Director, Grant Ryan. 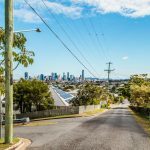 “This is due to their founder Tim Forrester’s almost obsessive focus on improving every building they do, and it is fair to say the Aria brand now has almost a cult following for quality and prestige, and is leading the way in the inner Brisbane apartment market. 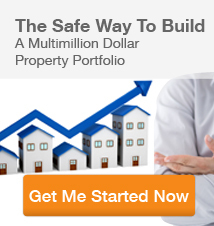 Did you miss out on investing in The Melbourne Residences? 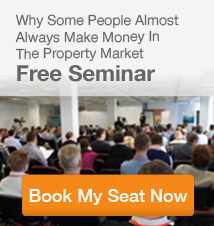 Contact your local Strategist today for further details and brochures for The Standard. 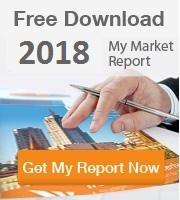 Or if you would like more information about the Brisbane property market, feel free to download our latest quarterly market report.